When the tide goes out, the beaches are a bird watcher’s paradise in Florida. Simply called “beach birds” these small birds are having a feast fit for–well–a bird. 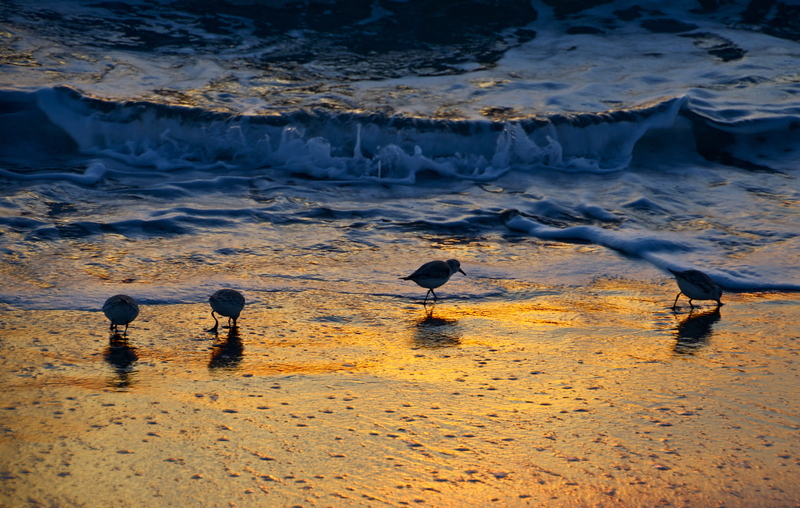 This entry was posted in Photography, Travel & Adventure and tagged Beach Birds, Birds, D5100 Nikon, Florida, Ocean, Tamron Telephoto Lens, Tide. Bookmark the permalink.